In this article we are going see how to use Rest Assure to test a web service. 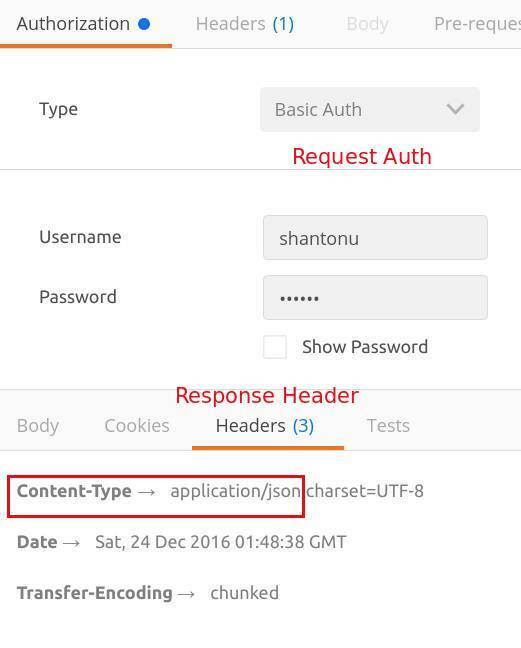 For this example , we will be use a REST webservice with JSON format request. For quick understanding, A web service is service over web to communicate over web technologies from device to device. This is one kind of messaging service. Details in wiki link. 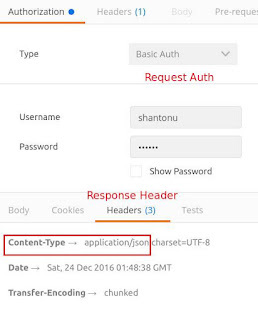 For this example, we will use a HTTP based REST web service where device communicate using JSON type data. I am using this example so that you can download any release and run locally(avoid Internet access). I will use release 2.0 which requires authentication. Now, Let's start the main project. I will do step by step project creation. In this example, we are focus on testing only. Not much detail on reporting. If you want to add advance reporting, you may see my Allure blog post for detail reporting. Now, finally my pom.xml look like this. Download & Run The web service release jar from command line. You will see something like this. As you can see, this is spring boot web service.When this webservice is started completely, you can see this line which means, the webservice is running in localhost 9100 port. So, now we have a webservice running with these methods. 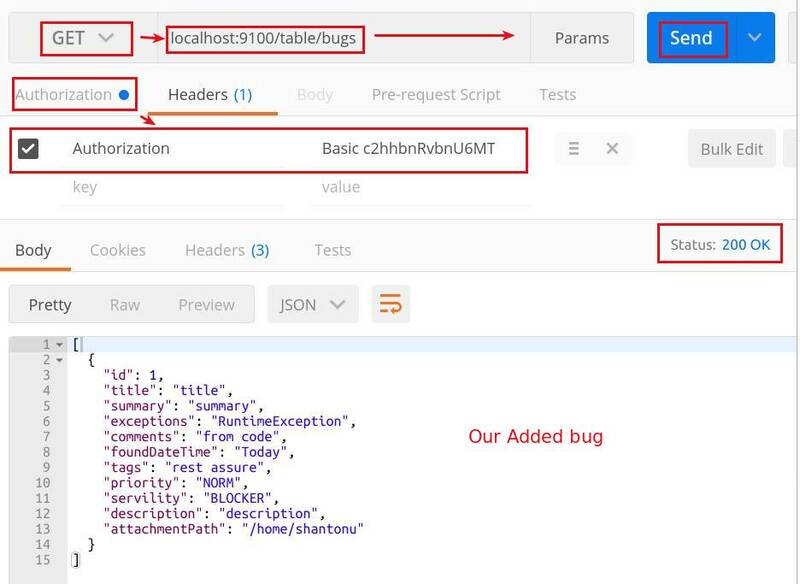 we will start with creating a new bug entry in the web service. To do that, first I need a model class (or entity class) that represents a bug. So, I add a class named Bug with 11 fields. Now add setters, getters methods for each field. And, override equals(), hashcode() and toString() method. For making life easy, I also added a constructor with all fields. And a static method return a Bug object. So, finally this class becomes. You can see, I am assigning base URL, primary path for BUG web service. 2. Initiating a HTTP POST request with this bug instance. 3. When we are putting this request , we are converting in JSON with Rest Assure built in object mapper which usages JackSon_2 type mapper. 4. We are declaring the content type as JSON which will be included in request header. 5. We are hitting URL (localhost:9100/table/bugs) which is coming from BugTestBase . So, no need extra path in post(). 6. After posting request, we get response and validating response code, header item , content type, body title=the bug's title. And finally the response time is less than 2s. Now, this proves the test has pass and created a bug entry. If you want to validate , if it is create or not, you can use Postman chrome extension (or any other REST client) to check. From bug webservice URLs , we can see there is GET /table/bugs request which shows all stored bugs. So, i use this url in post man and send the request, I can see stored bug as JSON response. So, the bug is added and we can see it. Now, as we know, for testing if we add any new data we should cleanup. So, this test case does not clean up. This was purpose of validating response. Now, create another test case for creating a bug , validate that it is exact same match with the bug we tried to add and finally delete from DB entry. So, what is happening here which is not same like as previous one? 1. We are not validating http responses, but we are converting into Bug object (responsedBug). 4. When deleting, we are also checking http status for successful deletion. =>We are checking Http status, response type, content header, time. // assuming that bug with ID 1 present. =>We are checking Http status, response type, content header, and response body should have id = 1, which we are requesting. =>From response, we get a bug and change its title & description. =>We send update request for this the bug with same ID. =>Finally we are deleting the bug & checking its status for cleaning up. =>We are creating a bug and deleting that bug. =>We are checking Http status only. Now, if you are sending same request , we will see http 500. This examples only have happy paths to test. You can add all of the exception cases and boundary values by looking at the web service source code here. So, finally if we run all the test case together, we will be looking like this. Now, you may say, these are not all. The main purpose of this post is to help on getting start testing with Rest Assured. I will be gradually adding more example to the repository. I have added small Response utilities already. So, more item will come gradually. Please comment if you have any query. In this article we are going to see how can we make a Data Driven testing with Junit. For this I am going to use a library called EasyTest. For TestNG , as we know, it has built in data provider. 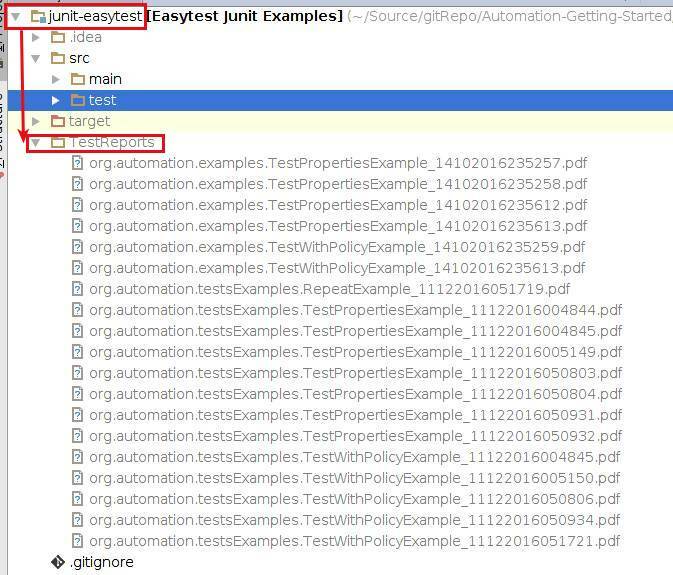 Using easy test, we cam use Junit to do data driven tests. What is Data Driven Testing ? When you testing is driven by your data then it refers to data driven testing. Formal definition can be found in wiki. In summary , your input data, expected output, configuration etc will be defined parameterized. So, in the end, you do not need to change your tests but with change of data, you can increase number of tests as well as coverage. That means, your data drives your testing capacity as well as quality. This is very good approach when you need to deal with large amount of data with different permutation and combinations. Where I use this approach? 1. When I need to check big number of data and its out put against DB query or web api methods(REST/SOAP). 2. When I need to drive the same UI tests with different data combinations. 3. When I need to isolate date changing behaviors over configuration changes. How we are going to achieve? We are going to resolved this by parameterized tests. And this parameters will take values(test data) form our defined files. 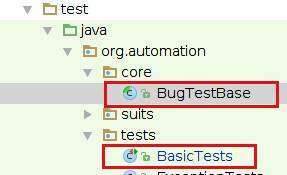 This is the missing part from TestNG with Junit. We will resolve using EasyTest library. Note : This is not the only cause we are using Easy test. Easy test also have a lot of impressive features. We will see one by one. Here is the easy test project link in github. For learning , I am using simple calculator class (Github link.). Just adding two numbers and expecting a result all in Double type. And, lets make a test case without Easy Test. We will evolve this simple test case using Easy Test.So, lets start with making a project. Now, to provide data parameter, we need to include our data files. As best practice, i will put all of my data as resources. So, i need to include as resource in pom. So, finally project pom.xml looks like this. 4. JSON format via CSV files. 2. First row From 2nd column, all will be parameter variable name. 3. All row of column where method name is written will be blank. You can see all of my files from this in github. Now, Let's load data from different data loader. 1. @DataLoader to define the source of the file. 2. @Param to define which column data will be consider as item to get. So, first we see CSV data loader. => getting parameter with name a, b, expected. Now, you may ask how row is handled. 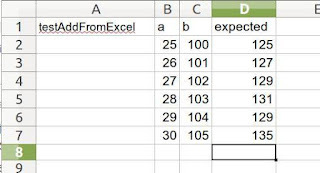 Easy test consider each row as one record and it will iterate our tests based on number of row present in the data file. So, define column for input data is more than enough. Best Practice : I used to follow a single file to provide input data as well as expected output. You may use separate file for that. 1. File paths contains physical path , if the file is in classpath, file name is enough. So, when I am defining my pom.xml resources , we should include our data file to make it work like this. Or we have maintain proper path for input. 2. 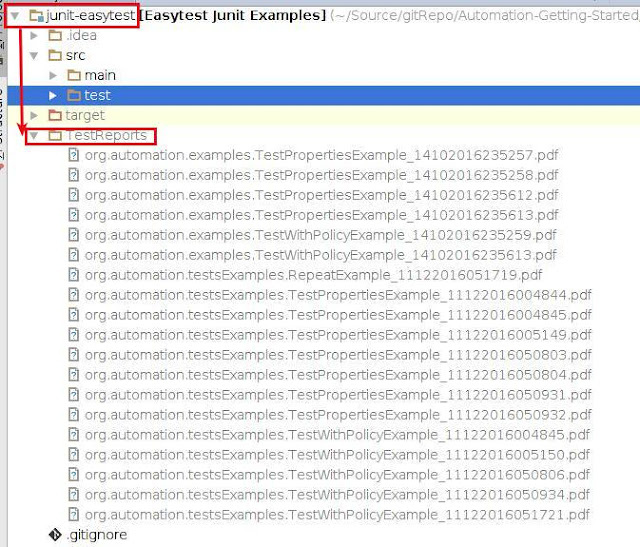 If you use single file loading, you may avoid LoaderType parameter. 4. Does not supports different type of loader in same method. 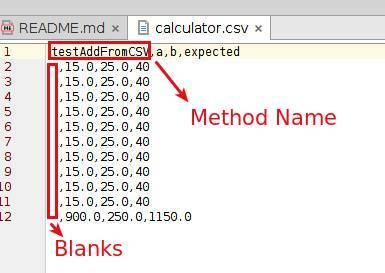 So, you can not load Excel & CSV for the same method with single data loader. Only first one will be working. 5. Single method/class does not supports multiple data loader annotation. 6. Method level data loader will overload class level data loader. 7. Use class level data loader when you are using a single file for multiple test method's parameters. 9. If we need to customize this parameter data showing, we can use @Display annotation when with loader. you can see an example here. So, you may see more detail examples from here. Now, beside Data loading , Easy test has lot of other features. I am not going details but I have examples for each one. So, I am adding one by one with small explanation. Reporting : Easy test provide really easy reporting... :). Just use annotation. Here are some examples. In the github repository, i have given more example which are simple to understand. Here are the important notes. 1. There are two type of report functional test report and performance test report(includes time to run tests). We can create multiple report type. 3. There are 3 type of report file format. Excel, PDF & HTML where pdf is the default choice. We can create multiple report type format. 4. @Report can be used in class level which means, when generated, it includes all test method results. 5. Report location can be stored specific file path or in build directory, class path. Class path report will be cleared when we use mvn clean, so choose carefully. Parallel Threads : Easy test has a simple annotation @Parallel where we can define how many thread JVM will allocate to test for a test class. You can see, this test will run with 5 threads. Note : this is very frajile. It might create resource alocation errors. And easy test does not ensures these are concurrent. Test Repetation : In Easy Test , we can repeat a test method with annotation @Repeat. It's a serially running, not parallel. Test Property : Easy test has a nice annotation @TestProperties which can be used to directly inject test property from class path. Test Policy : Test policy is very useful thing in Easy test where we can define test policy in a seperate class and use it in test class. For this define a policy class. So, we can see, the policy will define data file + reporting and parallel threads for the threads. => While testing , if we feel to have test configuration separately. => When we have seperate testing configuration to run in different situation. Like test in dev PC , or in CI, or for test reporting , or differenty type of testing, etc. 1. Error messages are not user friendly. So debugging is not easy. you need to know easy test architecture to understand errors. 2. Paralle execution might cause error related resource locked or busy. 3. Blank character in excel or CSV might cause error. So, be careful while creating data file. 4. There are some known bugs present. 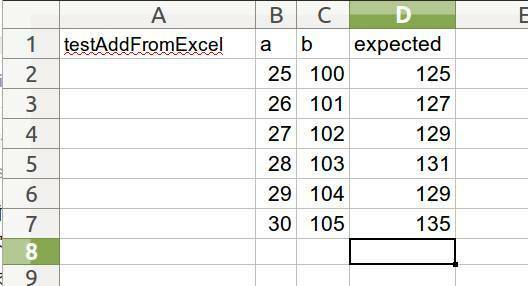 One of popular bug is, test fail report only generated with excel data loader. Other data loader can not generate fail test reports(only pass test report generated). Todo : Custom Data Type Converter Example. I will add gradually. I love to have comments in my blog.